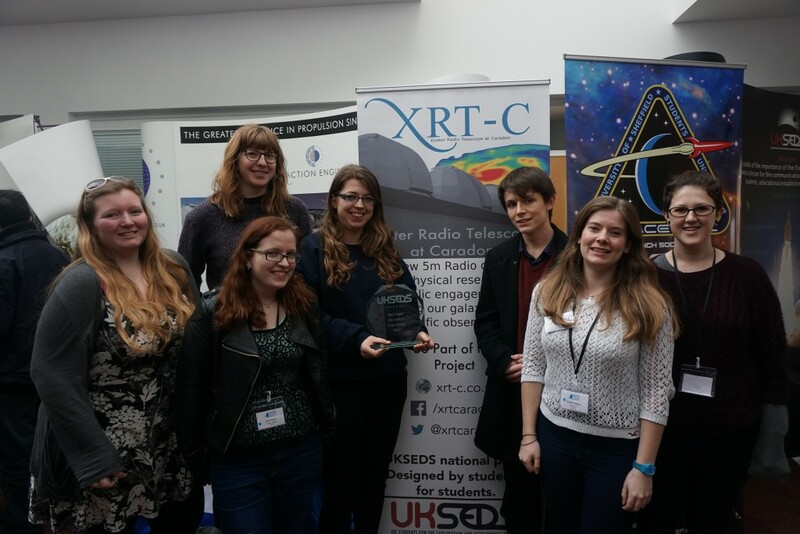 XRT-C | UKSEDS Best Project Award goes to…. XRT-C! UKSEDS Best Project Award goes to…. XRT-C! This was the first year that the National Student Space Conference included an awards ceremony, and we’re pleased to say that we won the first ever UKSEDS “Best Project” award! It really is a testament to all of the hard work that the committee have been putting in over the last year and a half, and we can’t wait to complete the telescope and start observing! The team with our lovely new award! If you’re in the Exeter University Physics Department, it should be on display shortly. Image credit: Teejay Taiwo.